A few years ago, back when I had only two nephews, I was on a quest for real Lego—those loose pieces that come in all sorts of shapes, colours and sizes, the kind you could build into whatever you wanted, the kind that didn’t come with a set of instructions and a specific purpose in mind. I wanted to give my first nephews, Jon and Isaac, the kind of Lego I grew up playing with. But all I could find in my local toy stores were Lego kits, designed more for crafting predetermined ships or boats or planes than to stimulate the imagination. It wasn’t until I stopped in at Toys “R” Us in Times Square that I was able to find a box of the prized pieces. Today, I’ve got three nephews playing with that New York City Lego (young David joined the gang about six years ago). I’m proud to say that all of them prefer making their own Lego creations to sticking with the instructions. They love the kits, too—they’re a new generation, after all—but once they’ve finished following directions, they take the finished product apart and start inventing their own versions. As much as my nephews and I love Lego, we weren’t on board right away with the idea of a Lego movie. When Isaac and I discovered the movie’s poster during his recent visit to Ottawa (the boys live in another province), we were left wondering what on earth the plot would be about for such an obvious marketing piece. Isaac enters the world of Lego. So what is the plot? I won’t reveal the overarching premise, but the main story follows Emmet (Chris Pratt), a regular Joe Lego man presumed to be the “Special” destined to save the world from the evil Lord Business (Will Ferrell), who rules over all things Lego and insists that everyone always follow the instructions. Emmet joins forces with a fantastic group of rebel figurines, including Wyldstyle (Elizabeth Banks), Batman (Will Arnett), Spaceman Benny (Charlie Day) and the wizard Vitruvius (Morgan Freeman). Standing in the way, alongside Lord Business, is Liam Neeson’s conflicted Bad Cop. The Lego Movie holds together with shrewd observations about the real world and very clever plays on sayings, words and product names. It turns ideas on their heads and offers hilarious insights into the way children interpret their surroundings—all without alienating the parents in the audience. 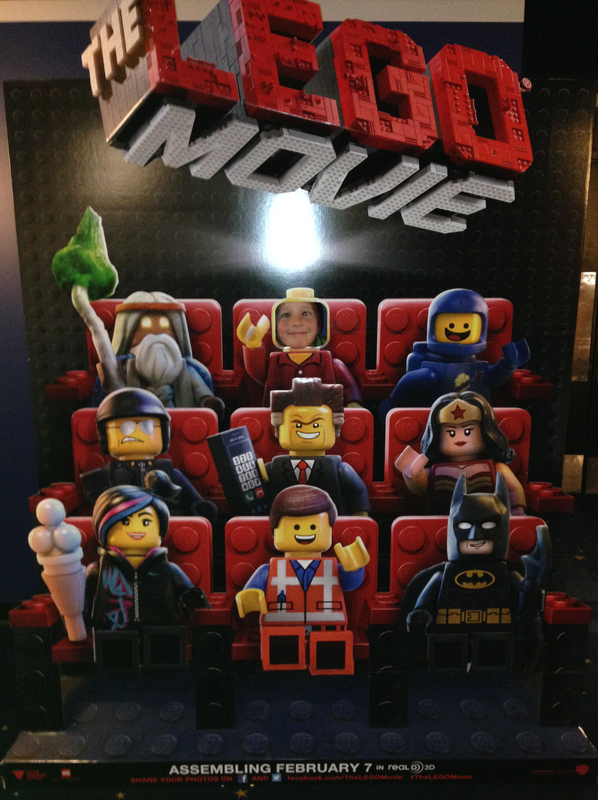 There’s no question that The Lego Movie is an unabashed marketing campaign. The filmmakers deliver a fabulous one-two punch, targetting grown-up kids who were raised on Lego, just as much as the kids who play with it today. But they’ve also built a smart, inventive flick that shows what’s at stake when imagination is squelched for the sake of compliance, and concludes perfectly by driving home the idea that one person’s happy ending isn’t necessarily the same as everyone else’s. More to the point, The Lego Movie is piles of fun. It’s hilarious and visually awesome, and it makes it very clear that playing with Lego (or at least being creative, taking risks and believing in yourself) forms the building blocks of a happy childhood and an accepting, inspired adulthood. I don’t want to spoil the surprise by rattling off too many examples of what’s so funny and clever about the movie. 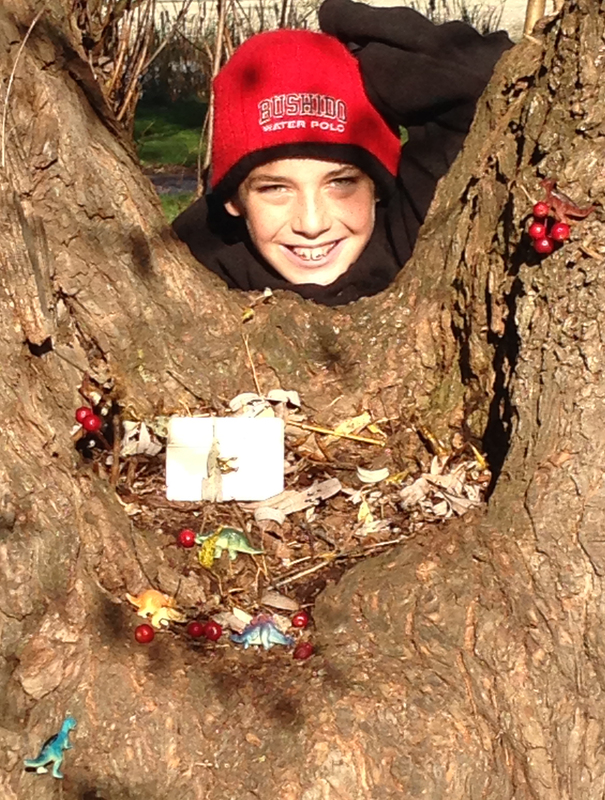 So I’ll keep it to just a few of the best bits, according to my nephews and me. 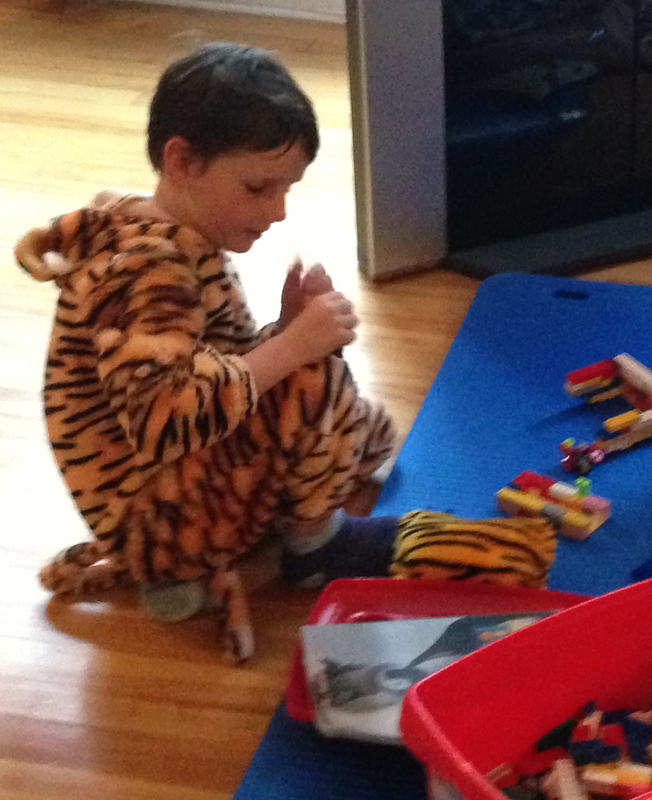 David, as a tiger, going rogue with free-form Lego. 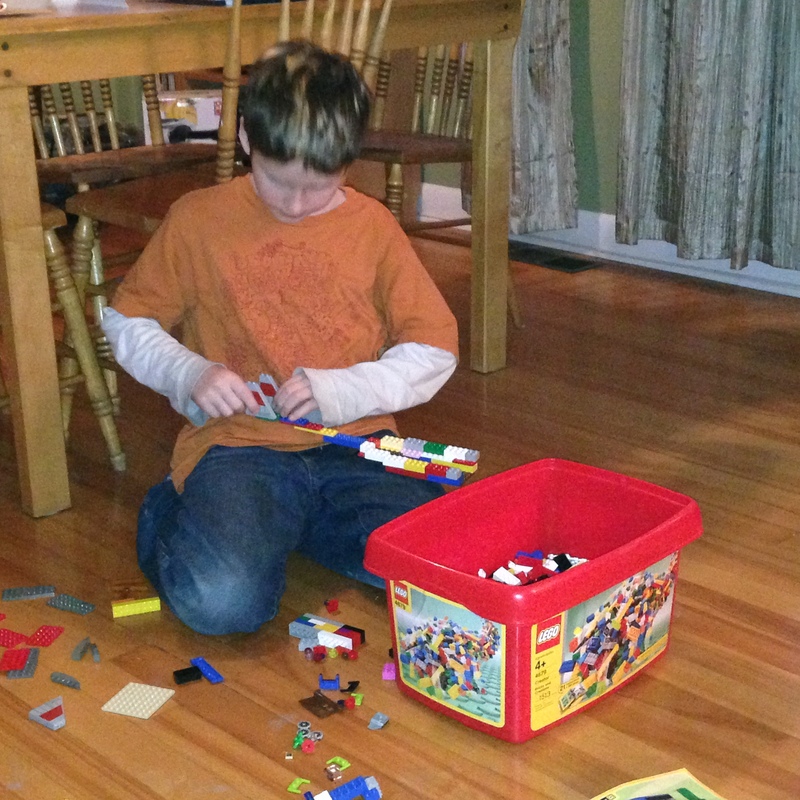 Isaac working on one of his many Lego inventions. Jon with one of the “secret” animal villages we built. No Lego involved, but each of the figurines would fit into a Lego world. Thank you to Rebecca and Sean for casting aside the instructions and putting together the best nephews an aunt could ask for. They’re colourful, animated and totally awesome. Amanda, this is so wonderful on so many levels; engaging other generations in reviewing movies, nurturing that analytical sense and honouring it in all ages, and transcending time and distance to make something really collective and magical here. Congratulations to all five critics, David, Isaac, Jonathan, Sean and Amanda, and thank you so much!! !